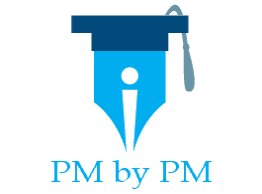 Why is there a change in PMP Exam? Yes. At least, that is what PMI says. Let us answer this question and some other FAQs about change in PMP exam. As per PMI, Project Management profession and role of the Project Manager has evolved over the last few years. As the profession continues to evolve further, the Role & Responsibilities of Project Manager keep on changing. In order to stay relevant, the new PMP exam would reflect the current practices of the Project Management Profession.The Role of a Project Manager is described by the RDS. RDS is an acronym for Role Delineation Study. It is a research done by PMI for each of its certifications. It is carried out every 3-5 years. What is the utility of RDS for PMP exam? The RDS is validated by Project Management Practitioners and Subject Matter Experts from various different Countries/Industries. The research results are compiled in the Exam Content Outline. The previous RDS happened in the year 2011. Subsequently, Exam Content Outline was revised. The current Outline is based on RDS 2011. Exam Content Outline is the blueprint for the exam. The exam questions are tied to the Domains, Tasks and Knowledge & Skills described in the RDS. You can refer to the updated Exam Content Outline on PMI’s Website. What is the change in Exam Content Outline? There is no change in the number of Domains (5). However, the breakdown of the percentage of questions from each Domain is going to change. The weight of Executing will increase by 1%, while that of Closing will decrease by 1%. Executing will now have a coverage of 31% instead of 30%, while Closing will now have a coverage of 7% instead of 8%. New tasks have also been added. Which new tasks have been added to the Exam Content Outline? A total of 8 new tasks has been added to the 4 of the 5 domains. There are minor changes to some the other tasks. The modified tasks have the same essence as the previous tasks, but there are some minor changes to the terminology & the language. Some other tasks have been removed from the Exam Content Outline. You should also refer to my other article for complete details of new tasks. No. The current edition of PMBOK Guide remains as 5th Edition. When will PMI release the next edition of PMBOK Guide? Usually, PMI releases a new edition of PMBOK Guide every 4 years. The current edition (5th edition) was released in Year 2012. The next edition is likely to be released in Year 2016. What else is not changing? How much time do I have before the change in PMP Exam takes place? The last date for the current version of Exam would be January 11, 2016. PMI will start conducting the new version of Exam from January 12, 2016. Should I sit for the certifications before the change in PMP Exam? Yes. It is advisable to take the the Exam before it changes. You will find many different suggestions and recommendations for this question. Many people will suggest that Exam Content Outline changes are minor. They will suggest that you should prepare well before taking the Exam. It is better to delay the Exam. To be fair to these people, the Exam did not change much after the last Exam Content Outline update in the year 2011. However, as per PMI, you can expect to see about 25% of the Exam Content that focuses on new topics that were not tested earlier. In addition, a very high percentage of questions will be revised and updated. So, in order to avoid any surprises, it is better to take Exam before it changes. When will I get the result if I take the test after the change in PMP Exam? You will receive your exam score immediately after the test. Finally, the Exam has changed. You can read my other article to understand what are the Exam Changes. If you have already done the PMP training long ago, you should do it again. Here are 5 reasons to do PMP training again.